Mountain bikes have gotten better faster in the last few years than any other time in my lifetime. Between brands cracking the 29-inch-wheel code for rugged DH and Enduro rigs to the introduction of e-bikes and plus tires, performance improvements have hit a steep curve recently. I was actually in the market for a new bike this spring. I thought I knew exactly what I wanted: a long-travel 27.5-inch bike that would be a touch lighter and pedal better than my current bike. I was graduating from my 6-inch bike with 26-inch wheels and had tried a 29er and hated it 4 years ago. I went to a demo day this spring and fell hard for relatively short travel 29ers. Now I’m happily on a 120/130 29er with “plus-minus” tires that crushes climbs and flies down descents. Without that demo, I never would have even looked at my bike. In the last 6 months or so we’ve seen the introduction of quite a few new 29ers that are creating a lot of buzz: the Pivot Trail 429 and Firebird 29, the Ibis Ripmo, and the Spot Mayhem. We can’t guarantee that all of those bikes will be at Outerbike Mt. Crested Butte in a full run of sizes, but Pivot, Ibis, and Spot will all be there. If any of these are on your list of possible bikes to buy, or even if they’re not (see above) you should get yourself to Outerbike in Mt. Crested Butte. You may be surprised. I certainly was. 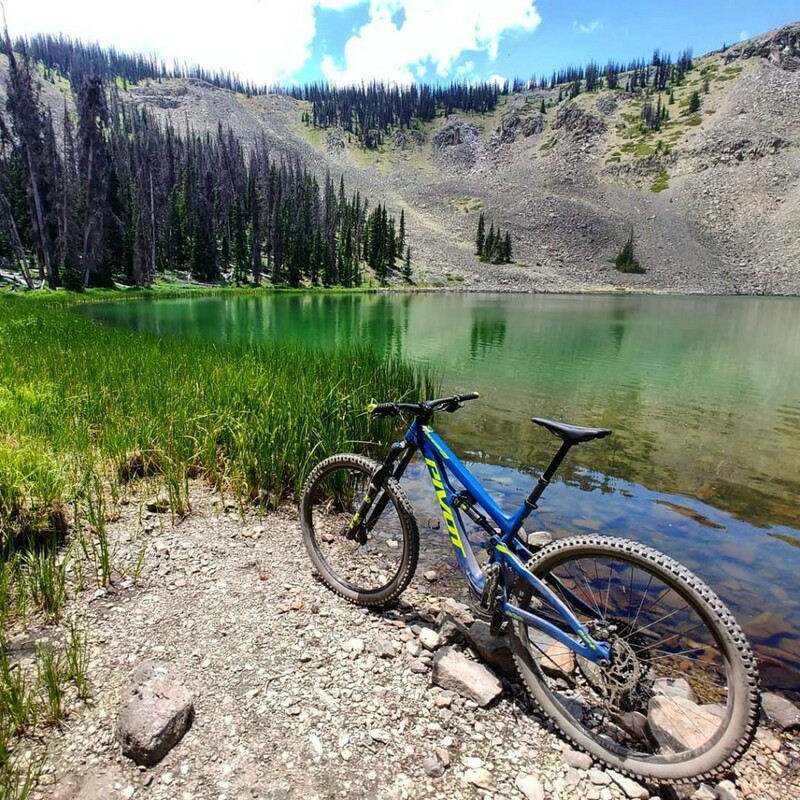 While we thoroughly endorse riding any bike you plan to buy uphill to see how it climbs, we also think you’ll get far more bang for your demo buck if you take advantage of our progressive lift-served cross country and downhill trails to try out the bikes on all sorts of trails going both up and down. Three days of trying bikes in a row can be surprisingly exhausting. 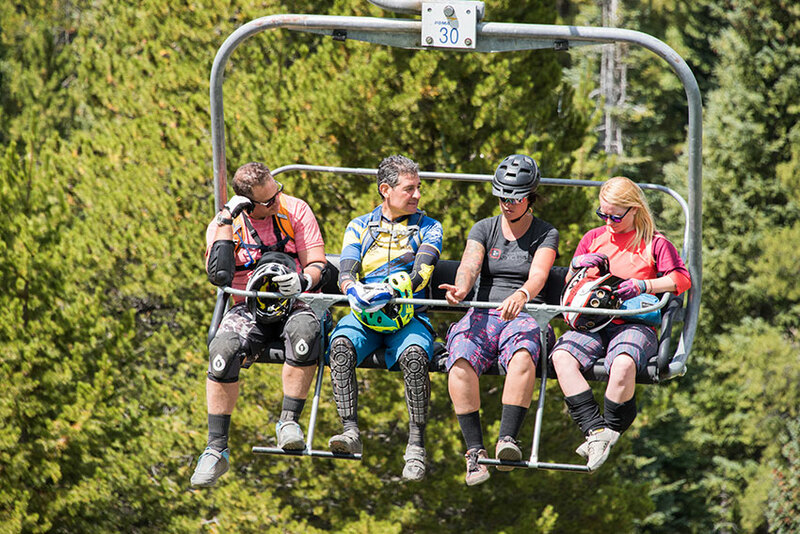 Take advantage of the lifts to give yourself a bump when you need it and get that one last hour of riding in. Outerbike is located right in the downtown core of Mt. Crested Butte. Lodging is right there. A small but impressive list of restaurants is just steps away from the event village. You’ll also find bike shops and other retail spots for basic needs. The event is also just steps away from the free shuttle into downtown Crested Butte. Elk Avenue is a nationally registered historic district and an official Colorado Creative District. Its colorful Victorian buildings are home to restaurants, bars, and shops including an award-willing rum distillery, great coffee roasters, and two breweries. 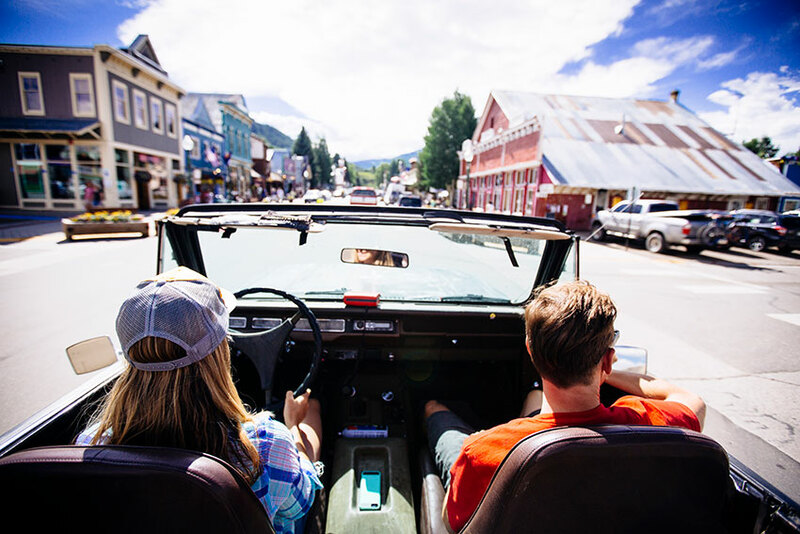 Although the name “butte” technically means “an isolated hill with steep sides,” there is no shortage of absolutely breathtaking mountain views from Crested Butte Mountain. Many of them are littered with trails of the hiking and/or biking variety. 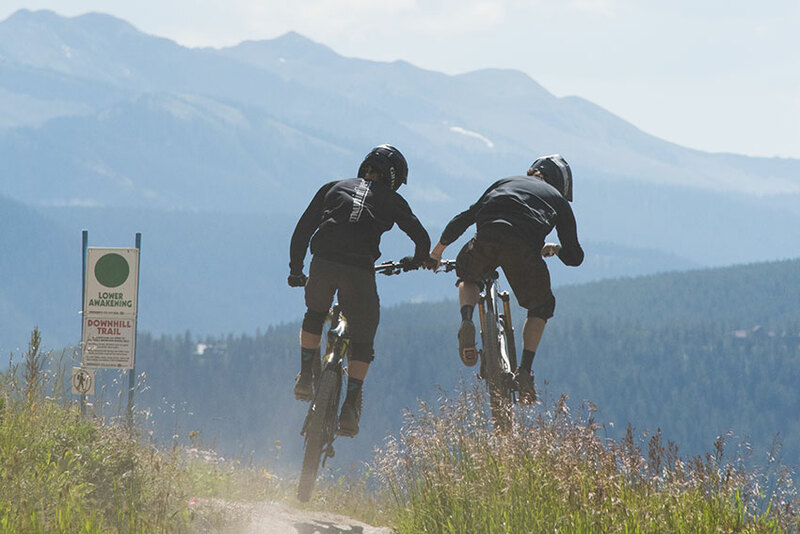 With over 3200 feet of vertical relief between the town of CB and the summit of the mountain, our trails offer true, big-mountain mountain biking and the vistas to match. 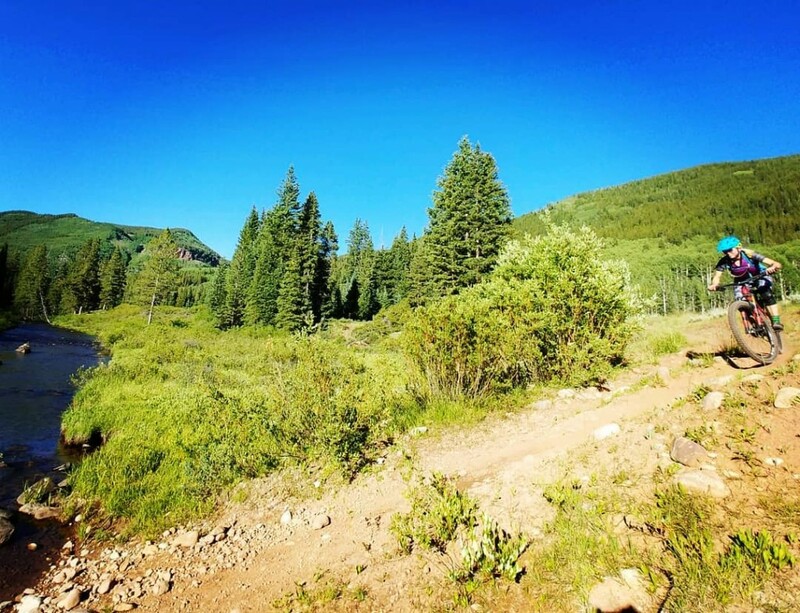 Come early or stay late and explore some more of our 750+ miles of mountain bike trails in the Gunnison Valley. If I’ve managed to convince you to join us for a weekend of fun testing bikes and hanging with other bikers, head on over to outerbike.com to get registered. Online registration will definitely close on Monday, August 13 and may close even earlier if we hit our cap for attendees before then. It’s probably best to just head over and do it today.